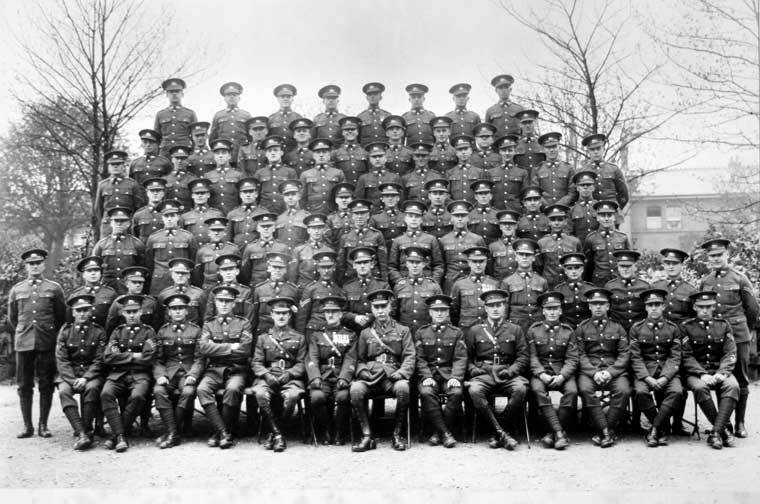 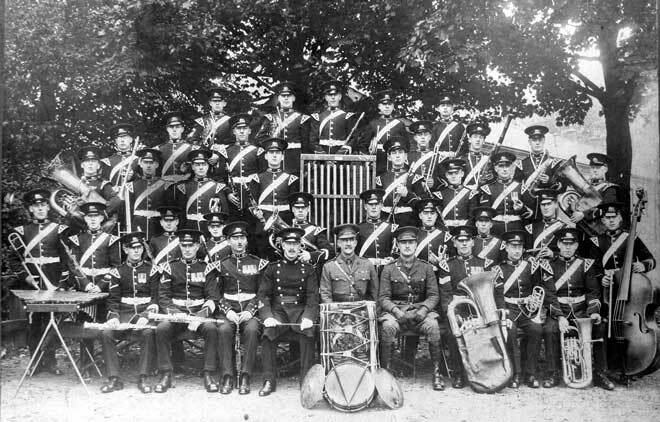 1st Battalion, King’s Own Royal Regiment. 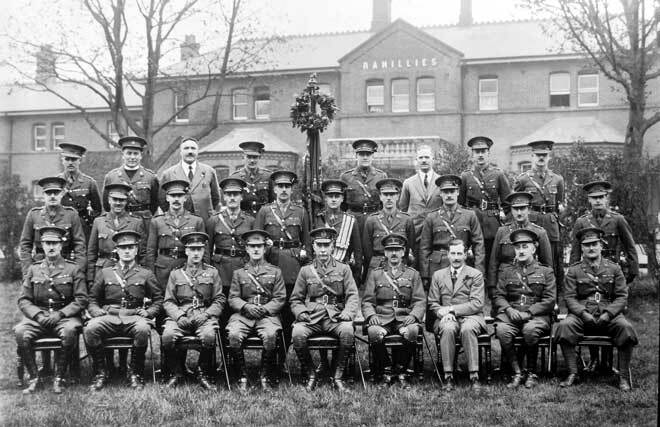 250th Anniversary of the Raising of the Regiment at Aldershot, 13 Jul 1930. 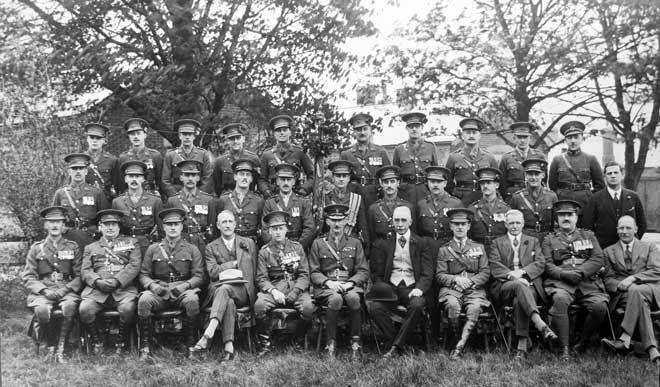 1st Battalion, King's Own Royal Regiment, Officers and Old Comrades at 250th Anniversary, July 1930 Aldershot. 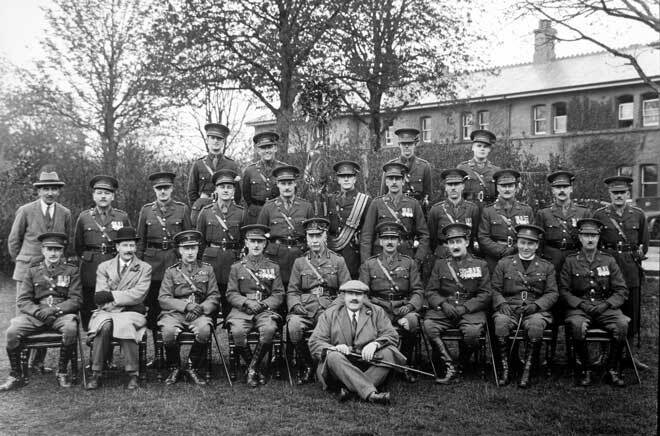 Rear, left to right: Lieutenant A H Carter MC; Private H Hicks; Lieutenant Norman Ingall; Sergeant W Harding; Paymaster J Hall; Captain P G Devenish; Private E Monaghan; Private F Foreman; Lieutenant S H Tearle. 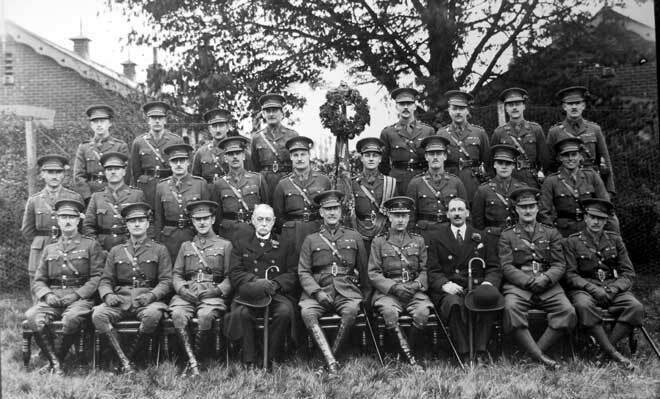 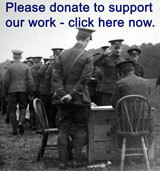 Seated, left to right: Company Sergeant Major H Parker DCM MM; Captain and Adjutant G R R Beaumont; Lance Sergeant W Worton; Major G T E Keith, DSO, OBE; Captain A W Morrell MC; Lieutenant Colonel J M Young DSO, Commanding Officer, 1st Battalion, King's Own; Sergeant F G Maxfield DCM; Regimental Sergeant Major W Bell MC; Drummer W Woolridge; Private J Dobson; Private C V Jones.